This month, young people across the country returned to physical and digital college campuses to get one semester closer to degrees that will help them enter the workforce. Besides their future careers, students also expect to encounter new people, new ideas, and gain a fresh outlook on their society. But recent data suggest students attending college in person won’t meet as many fresh faces as they might hope to in 2017. Last month, the New York Times reported that leading U.S. colleges are less diverse than they were 30 years ago. Compared to their populations in the U.S., both black and Hispanic students are underrepresented by a factor of roughly 8% each. In other words, the proportion of white people attending college in person exceeds the proportion they make up in the U.S. as a whole. But when it comes to online education, there’s a different story to be told. The diversity of people seeking online degrees tends to be far higher than traditional campus-oriented universities. For example, the Computer Science Master’s program at Georgia Tech counted a total of 276 students for their 2017 spring semester. Of these, 64 attended class in person, while 212 studied remotely. While campus diversity tracked along with most other colleges, women made up 13.9% of the remote population, and ethnic minorities made up 14.7%. This is nearly double the percentage of most college computer science programs. According to the U.S. Census Bureau, 76.9% of the roughly 320 m people living in the U.S. as of July, 2016 are white. Black or African Americans make up 13.3% while Hispanics or Latinos come in at 17.8%. Asians stand at 5.4%. In an ideal world, the demographics of any given U.S. college should roughly match the demographics of the country as a whole. That reality is a long way off on campuses, but in the world of online learning, American ethnic minorities have been over-represented for years. In 2011, Classes and Careers, an online resource for students, compiled numerous studies to find that 24.8% of people studying online were black, while 20.8% were Hispanic. Almost every attack on diversity in universities fails to call attention to this state of affairs. Taken out of context, these figures might seem startling, but the most deciding factor in college attendance by far is cost of education. The Georgia Tech Master’s in Computer Science program mentioned above costs $42,000 per year for the residential program. The online degree costs just $6,600. It’s easy to call attention to declining diversity on college campuses, but a more precise summary would describe declining economic diversity. According to the New York Times, the majority of U.S. states have cut, not expanded, funding for their universities. The percentage of freshman attending class with the aid of a Pell Grant—typically awarded to students from working-class families—fell from 24.3 % in 2012 to 21.8% today. The importance of a university-level degree in today’s job market cannot be overstated. According to the U.S. Bureau of Labor Statistics, the unemployment rate among Americans with a college degree is a full 2 percentage points lower than that among those with a high school diploma. But the importance of diversity in colleges is not just about the future of the American workforce. White Americans have a long history of implementing racist policies to keep all levels of education homogenous. The landmark court case of the Civil Rights Movement—Brown v. Board of Education (1954)—took on Jim Crow practices in the context of public school, but the decision held implications for segregation in all facets of society. White efforts to keep schools segregated, furthermore, did not fizzle out. It’s still happening today. For example, parents of Gardendale, Ala., a relatively wealthy community in Jefferson County, recently voted to create a new school system. The new school will be smaller and populated by children from wealthier families. It will also be significantly whiter. Gardendale parents claim that their initiative has nothing to do with race. The outcome, however, is undeniable: it will divert a significant amount of tax dollars from an already-hurting school district. Both arguments are correct. The biggest factor to the demographic makeup of any school in the U.S. today is socio-economic background. Online education has the ability to subvert this reality. Online degrees already have educated an incredibly diverse population of the U.S. 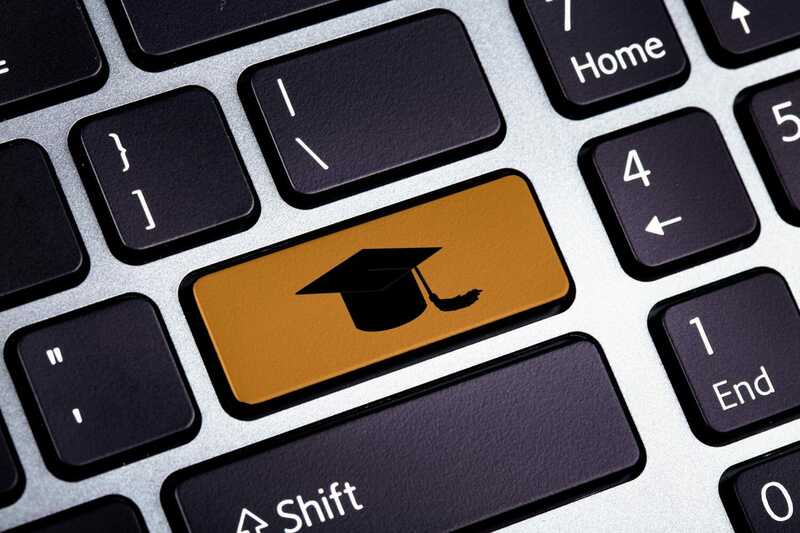 Critics of e-learning might point out that, with online degrees, students don’t have the same face to face experience with their peers and, as a result, they don’t get the same diversity experience as traditional college-goers. Those critics would be wrong. All kinds of apps and teaching methods exist today in the world of online degrees intended to increase face to face engagement. Abraham Rutchick, a psychology professor at California State University Northridge (CSUN), just presented Zoom at a recent e-learning showcase. In real time, Zoom connects professors and students through video, audio, chat, and other teaching communication tools. “[Zoom] was meant to create a course in which online students have more of a sense of community, of connection with me and with other students,” Rutchick said. Are Learning Management Systems Worth Improving?